A VERY BIG RTC WEEKEND Lies Ahead! Friends, I have to tell you about the very RTC-ness of this weekend! In homes around Windsor and Essex County, there are students singing and going over their monologues. Because tomorrow – tomorrow, we have ALADDIN AUDITIONS!!! This is heady stuff, my friends! It will mark the last of our season’s castings, and means that from there on out, it’s seriously down to business! Auditions will be taking place all day tomorrow at our rehearsal space. To take the edge off the tension throughout the day, we’ll be adding in just a touch of a different type of fun! In the afternoon, of course, our Juniors will be in to rehearse A Salute to Peanuts, which is coming up in just one more month! This weekend, we’re going to begin to transition them out of their scripts, which is very exciting. On Saturday afternoon and evening, we have an RTC wedding, as one of our RTC moms, Jennifer Gretes, walks down the aisle to say, “I do” to Bill Flynn. We would like to wish them every happiness, together with their children, Anne and Chelsea. 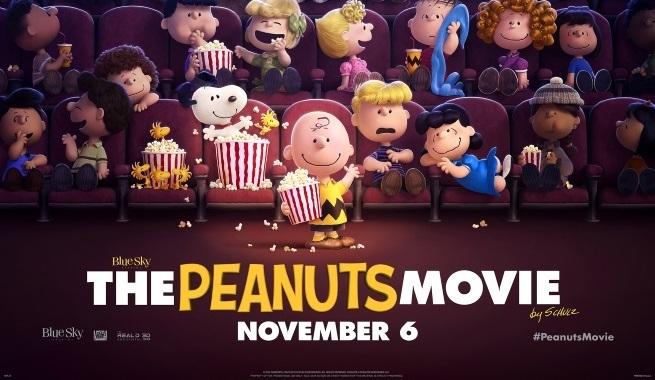 And on Sunday, we have even MORE Riverfront together time, as we all gather together at Lakeshore Cinemas for the afternoon showing of The Peanuts Movie! We had a mini, in-house fundraiser for this event, and of course, it’s going to be great fun to get our energy and enthusiasm up for our Christmas show! Good times lie ahead, my friends! Next: Next post: Announcing: Your ALADDIN AND THE ARABIAN NIGHTS CAST!